First came fillers in the Eighties, then lasers, then Botox-all still useful in their own way. And there’s always been surgery. 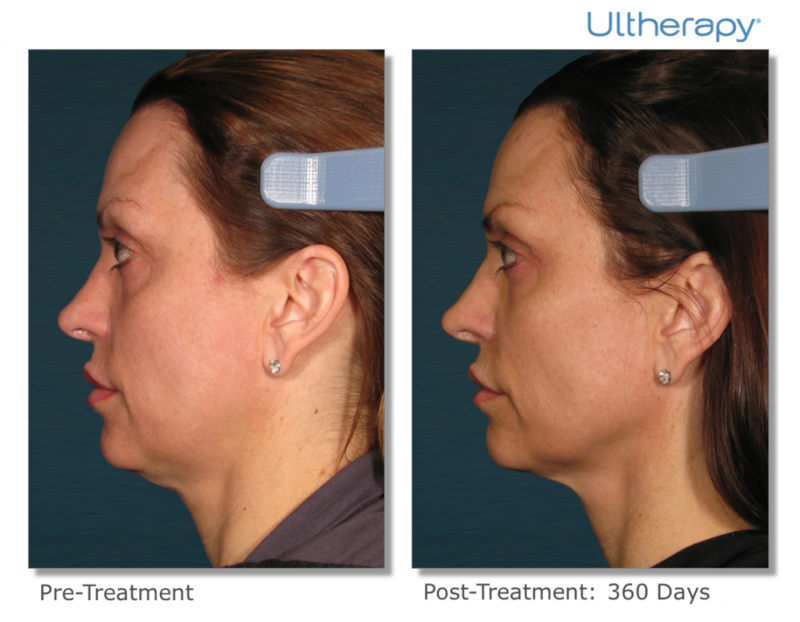 Now there’s Ultherapy®-a face and neck treatment that creates a brand new category in aesthetics-non-invasive tissue lifting. For the first time ever, Ultherapy enables practitioners to direct sound waves not only into the skin but deep under the skin to the same tissue addressed in surgery. This gently heats the tissue to lift and tighten loose skin without cutting or disrupting the surface of the skin. Besides the visible effects of lifting and tightening, there is also an invisible result from Ultherapy with the creation of new collagen, which helps the skin maintain its youthfulness. 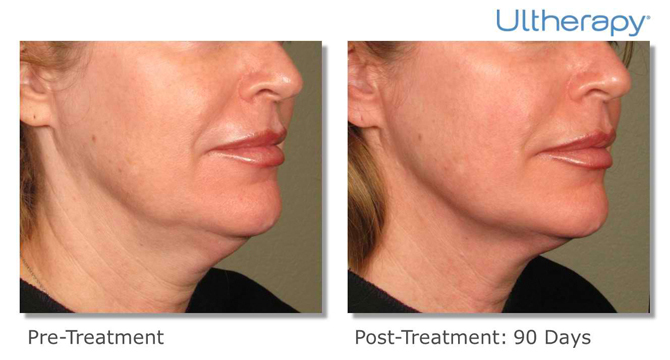 Ultherapy lifts, tightens, and tones loose skin to counteract the effects of time and gravity. One of the first effects of gravity is that the brows descend, and the eyes start to appear smaller. Ultherapy will lift the brow, which in turn reduces the excess skin on the lids, opens up the eyes and gives a more refreshed appearance. 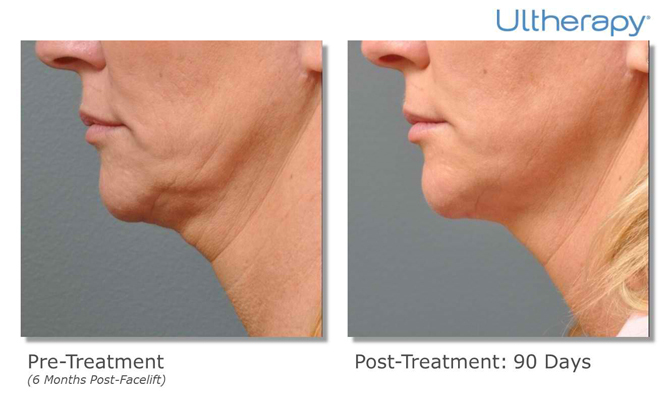 There isn’t a replacement for the dramatic effects of surgery, but Ultherapy offers a natural, ‘no downtime’ approach to noticeably improving lax skin. As with other ultrasound procedures, a smooth applicator placed upon your skin projects an image onto a screen that allows Dr. Andrews to plan where the energy will be sent. This same applicator is then used to deliver low levels of focused heat at just the right depth below the skin to achieve a positive effect, all the while leaving the surface of your skin undisturbed. Your skin’s response to the energy is to stimulate the growth of new collagen. A gradual tightening and firming occurs, resulting in a natural lift of the skin over time. 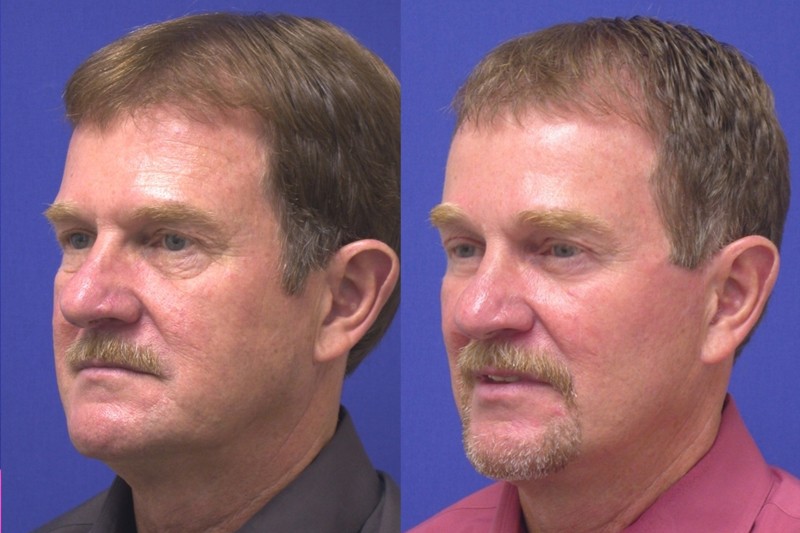 How is this procedure different than other cosmetic procedures? 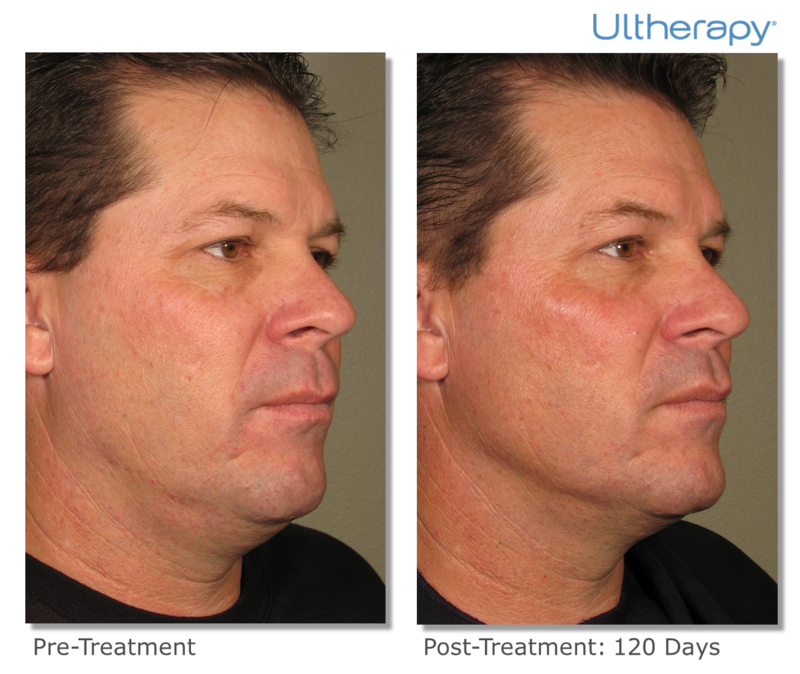 Ultherapy is the only nonsurgical skin rejuvenation procedure that can specifically target and strengthen the deep foundational layer of tissue that doctors address in surgery. The ability to treat not just the skin but its underlying support, from the inside out, helps to ensure both safe and satisfying results, with no downtime. There can be some discomfort while the energy is being delivered, but it is temporary and a signal that the collagen-building process has been initiated. Comfort thresholds vary from patient to patient, and practitioners will discuss options for making the experience as pleasant as possible. Patients typically leave comfortable and excited about the benefits to come. You are able to return to your normal activities right away, and there are no special measures you need to take. Your skin may appear a bit flushed immediately after the treatment, but any redness should disappear within a few hours. It is not uncommon to experience slight swelling for a few days following the procedure or tingling/tenderness to the touch for a few days to weeks following the procedure, but these are mild and temporary in nature. There is the possibility of other less common post-procedural effects, such as temporary small areas of bruising or numbness, which your physician will review with you. With just one treatment, the regenerative process is initiated, but the full effect will build gradually over the course of two to three months. 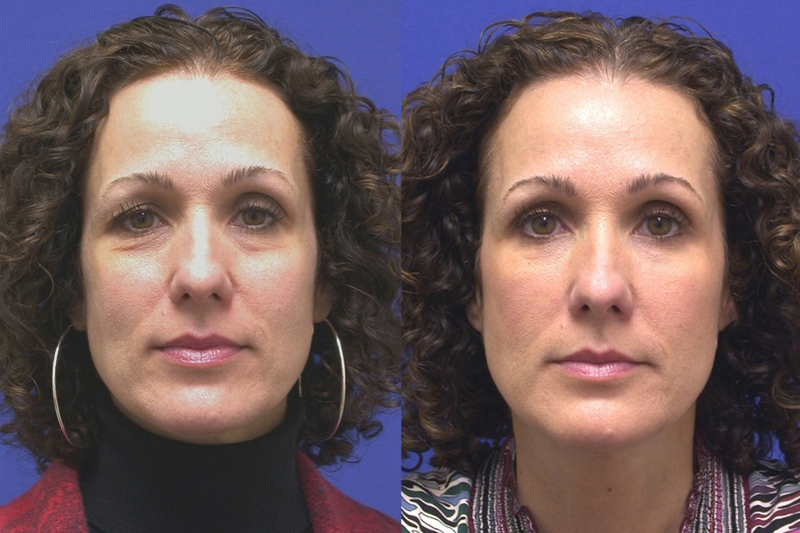 In the FDA clinical trial, nine out of ten patients had a noticeable, significant lift of the brow line. 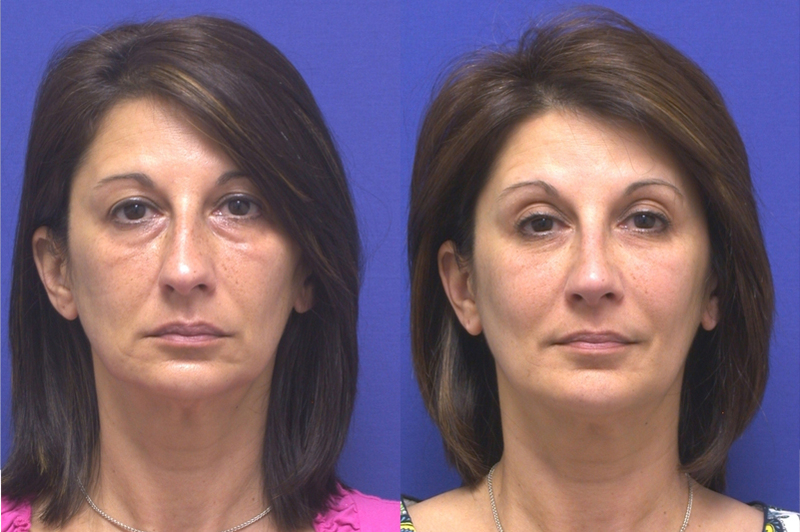 This resulted in reduced skin laxity on the eyelid, and a more open, youthful look to the eye overall. 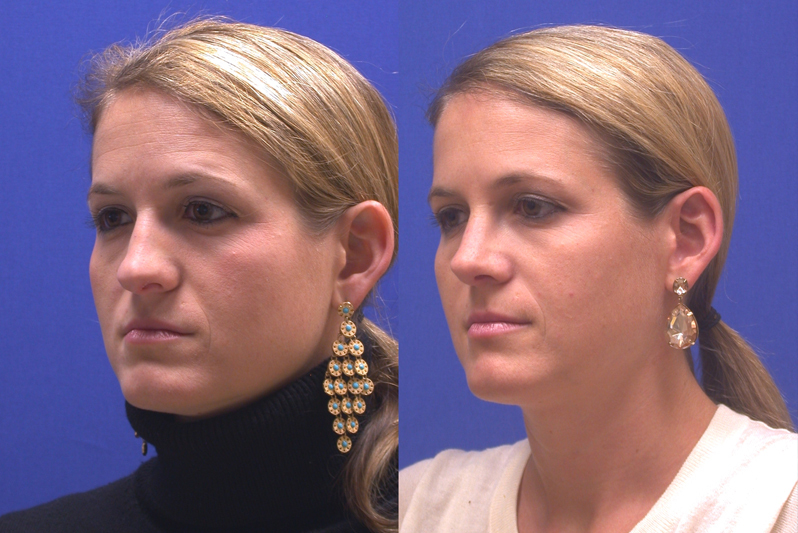 Patients reported firmer, tighter, better-fitting skin in the other areas of the face and neck as well. Ultrasound energy has a proven track record, with use in the field of medicine for over 50 years and clinical trials have demonstrated the safety of this latest application.